This house was built based on Swahili architecture with high ceilings and small windows to protect the inhabitants from the equatorial sun and ensure that the interiors are cool, private and secluded. 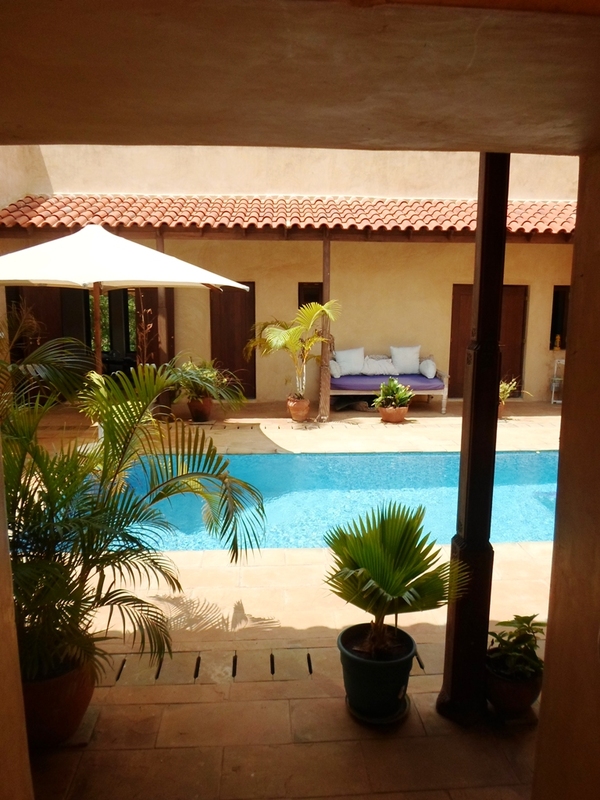 The Inner courtyard, kiwande, boasts an inviting blue pool , with rooms arranged around the inner courtyard. The plasterwork in the interior rooms adds a sense of perspective, beauty and depth to interiors. The roof terrace is designed to catch the cool breezes looks over the 1st & 2nd fairways and wonderful views of the Indian ocean. 3 bedrooms en suite, kitchen, sitting & dining room, storage, rooftop terrace. This house is in excellent location for both the views of the ocean and also overlooks the golf course. Vipingo Ridge is a five-star private residential golfing destination set in the most beautiful, scenic and tranquil location on the Kenyan Coast. The exclusive 2,500acre residential estate is cantered around an outstanding Clubhouse and an 18-hole championship golf course. The estate has a private beach club, about a 10 minutes drive away; horse riding; private airstrip; numerous lakes; woodland areas and nature trails; bringing together harmoniously a range of elements of luxury living within a secure, walled and gated community. With so much to offer, Vipingo Ridge is undoubtedly the most desirable residential address, a must for any golfer and an exceptional development to rival others of its calibre in Africa.